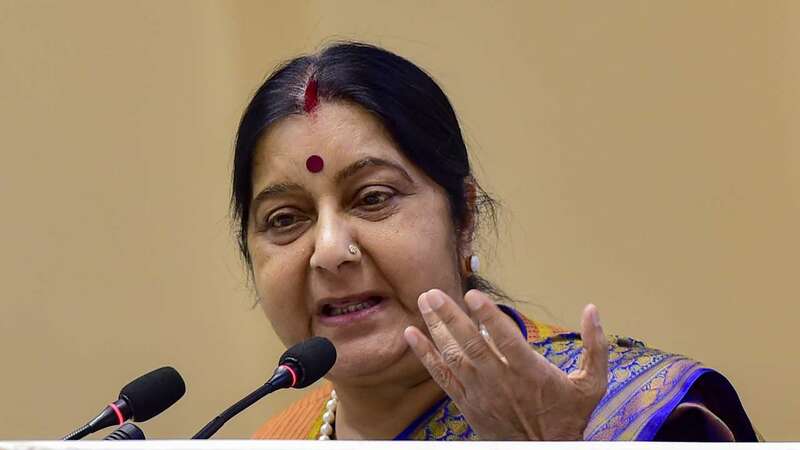 Feb 11 (AZINS) External Affairs Minister Sushma Swaraj on Monday introduced the Registration of Marriage of Non-Resident of India Bill, 2019, which has stringent provisions in place for erring NRI spouses. The objective of the Bill is to create more accountability and offer more protection against the exploitation of Indian women by their NRI spouses. As per the bill, an erring NRI spouse could be declared a proclaimed offender or may have to face impounding of passport or the attachment of property. The Ministry has been receiving petitions from Indian women deserted or harassed by their NRI spouses. The legislation will help in "better enforcement of rights of the deserted spouses under various family laws". The bill amends the Code of Criminal Procedure, 1973. Under the legislation, a court can issue summons, warrants through the specially designated website of the Ministry of External Affairs in case of any violation. If the person in question fails to appear before the court at the time and place mentioned in the warrant, a court may declare him a proclaimed offender. The court may also attach the properties belonging to the NRI. Section 5 (5) says the court may "order the attachment of any property, movable or immovable, or both belonging to the proclaimed offender". If it is a joint property then the attachment will have effect only with regard to the interest of the proclaimed offender. As per the bill, every NRI who married an Indian citizen needs to register it within a period of 30 days from the date of marriage. If the person doesn't register the marriage, the passport authority can impound the passport. For this, the bill amends the Passport Act, 1967. Even before this provision was introduced, India impounded many passports to act in favour of distressed Indian women. The MEA revoked/impounded as many as 24 passports and suspended 21 passports of erring spouses based on the complaints received and the issuance of the Look Out Circulars by the Integrated Nodal Agency, Police and Courts. The bill regards a Non-Resident Indian (NRI) as a citizen of India who resides outside India's territory. The MEA addressed 5,379 complaints of distressed Indian women deserted by their NRI spouses between January 2014 to December 2018. The amount of legal and financial assistance to the distressed Indian women has also been increased to $4,000 per case. The MEA in a press release said, "the introduction of the Bill was necessitated by the Ministry of External Affairs due to numerous complaints received from Indian nationals mostly women deserted or harassed by their Non-Resident Indian Spouses." Further elaborating, the MEA said the "Bill proposes to offer greater protection to Indian women married to NRIs and serve as a deterrent to NRIs against harassment of their spouses. This would provide much-needed relief to all Indian women married to NRIs worldwide."